at my Breakfast Club event. UPDATE: Congrats to Lanee Foster, aka Neenay, who won the McDonald's gift bag! Enjoy an Angus Burger on the Golden Arches! Thanks again to everyone who participated, and stay tuned for more giveaways! When I think of McDonald's, I don't usually think about oatmeal. Happy Meals? Yes. Big Macs? Yes. But a low-calorie, fruit-filled snack? Not so much. So when the company invited me to host a complimentary "Breakfast Club" (full disclosure: for which I would also be compensated), I was intrigued. I also wanted to hear what a dietitian, who would be on hand, would have to say about this new, healthy menu item. Plus, when am I not hungry? So I invited several friends in the area and asked them to stop by a Westside Mickey D's and try the new Fruit & Maple Oatmeal alongside CC and me. And I have to say, judging from all the reactions around me, my friends and CC were impressed -- and a little surprised. McDonald's Fruit & Maple Oatmeal blends 100% whole-grain oats with optional brown sugar and light cream with a topping of crunchy diced apples and a tangy cranberry-raisin mix. Total calories: 290 with brown sugar and 260 without. Total cost: $1.99 plus tax. While Monica, the dietitian, said this alone did not make up a complete meal, the oatmeal did make for a healthy between-meal snack. Adding that our bodies like to get nutrients every four hours or so, Monica also noted that a grain-and-fruit-filled item was a good one to choose. Enter a little tub of oatmeal. A tasty tub of oatmeal at that. I really liked the warm, slightly sweet oatmeal with a burst of crunchy, fruity flavor on top. I'm not usually a warm-raisin fan, but the mixture really worked for me. The tart apples really sold me. Plus, the size was right. Not too big and not too small. To be perfectly honest, I'd opt for it again. In fact, I already have. I'm giving away a McDonald's Gift Bag, filled with lots of goodies, coupons for gratis items and a $10 gift card! To enter, leave a comment telling me your favorite McDonald's menu item. For more chances to win, follow me on Twitter. I'm at @la_story. Or you can "Like" the L.A. Story Facebook page. Good luck, and I'll announce the winner on this post (not a separate one) Friday, February 11! 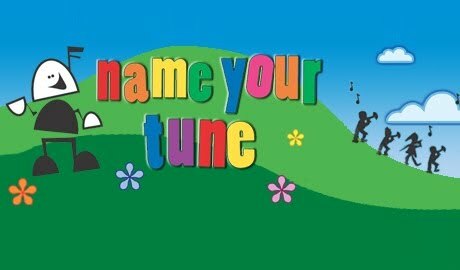 Babies love hearing their names repeated over and over, and they’ll certainly get their fill with Name Your Tune -- a made-to-order children’s album that features your child’s name sung over 80 times in 14 songs. Everyone can sing along with classics like "Old MacDonald Had A Farm" which becomes "Little Hannah Had A Farm E-I-E-I-O." When your album is ready, just download to your computer, MP3 player or burn a CD. "Seriously Funny Kids" with Heidi Klum, seated, will premiere on Lifetime on Feb. 1 at 9 p.m. ET/PT. Kids definitely say the funniest things. In fact, CC is probably the funniest person I know. Some of her bon mots include: "Mommy, I want a little sister. ... How do you grow one of those?" and "Mommy, can I write on Sassy?" meaning the cat. Now supermom and model Heidi Klum is capturing those classic kiddo comments on the small screen with her newest reality show "Seriously Funny Kids," debuting Tuesday, Feb. 1 (9 p.m. PT/8 p.m. CT) on Lifetime Television. This half-hour show, produced by LMNO Productions as well as a host of others, will air on Tuesdays and feature Ms. Klum interacting with the shorties and getting their take on life, fashion and other fun stuff. When Romy Schorr of Romy Raves invites this mom to a party, you better believe I'm going. That's exactly what I -- and several other SoCal femme bloggers -- did on Saturday, at ROB|B OPI Concept Salon in Studio City. 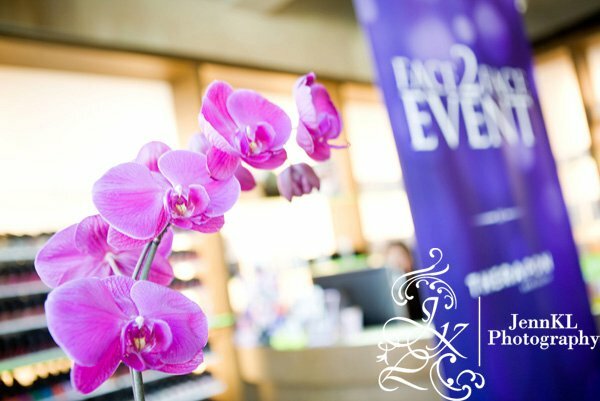 Sponsored by Therapon and spotlighting its Theraderm Skin Renewal System, the party offered luxe mini-manicures, mini-facials, as well as many hors d'oeuvres and laughs. 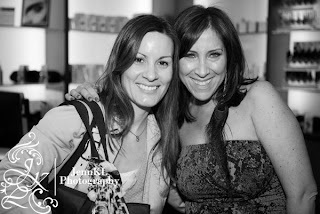 It was a great event -- and a fun way to spend some girl time with friends. The ROB|B Salon itself is a modern and comfy haven tucked into a line of shops on Ventura Boulevard. Outfitted with lush mani/pedi chairs that hold pedicure bowls made of Italian glass, the "green" salon was a true oasis. After my mini-mani -- during which I received a softening Theraderm skin peel -- I headed upstairs to the plush patio to indulge in scrumptious eats from Heirloom LA. Next came the relaxing mini-facial, again using the exfoliating Theraderm products. Yes, I know it sounds like torture. As much as I love my child, taking a parenting break every once in a while is good for the soul -- as well as the skin. Besides, your child might even thank you for being in such a great mood when you get home. While I missed the Magnolia cupcakes (truly sad for me! ), I did receive a generous gift bag, which featured lots of beauty-related products and other fun goodies, including a gift certificate from photographer Jennifer Kelley Lublin -- who snapped two of the pics on this post. While most Angelenos were basking in the gorgeous January sun yesterday, we were more than 5,000 feet above sea level at Mt. Baldy getting our hands cold and wet with white mountain snow. That had not been the original plan, though. The original plan had been to drive up the Angeles Crest Highway to a national park where we could build "snowgirls," as CC said, and sled down mini hills. But because the Highway has been closed for more than a year due to the Station Fire (for some reason, I thought parts of it had opened), I had to think of a Plan B -- a Plan B that involved snow, because that's what I had promised CC. Enter Mt. Baldy, which is an easy 2-hour drive east of Los Angeles. Once we drove to the mountain parking lot, past the small village on the way, we all spilled out to play in what little snow there was at the base. But the real white stuff was at the very top of the mountain -- and you can only get there by ski lift (while we were there: $20 round trip per adult; $10 per child; children under 5 are free). That's when the nail-biting started. I wanted to show my child her first real snow (CC has seen snow, but it wasn't the authentic experience I wanted to give her). But was I willing to risk my life -- and hers? Ian, for the record, was totally fine with the ski lift and had lots of fun at my expense, mentioning things like fraying cables and dangling skiers. After much pacing, teeth-grinding and lip-biting, I decided to make the trip -- 15 of the longest minutes of my life. What was funny to me was how calm and happy CC was while riding on such a terrifying contraption. She even starting singing, "If You're Happy and You Know It, Clap Your Hands." I was neither happy, nor did I want to risk clapping my hands. Eventually, we made it to the top -- thank God! -- and headed into the Lodge for hot chocolate. It was so cold up there! After a short break (which helped me renew my mental energy), we joined the skiers and snowboarders outside in the snow. CC was thrilled! She demonstrated that by making a mad dash across the snow, trying to ditch her parents in the process. She grabbed up the icy white gobs with her little fingers and dove onto the ground to make a snow angel. We wanted to go tubing with her, but it was already late afternoon and they were about to close that area. While we didn't get the chance to go skiing, snowboarding or tubing -- it was kind of impromptu just to get up to the top -- it was wonderful to see the beauty of the mountains from such a gorgeous vista. We promised CC that we'll return -- and that next time we'll go tubing. You'll notice there aren't any pictures of me here, but as Ian pointed out, I looked too stressed out the entire time I was up there. Probably because I had this to look forward to on the way down: Eek! Believe it or not, the way down was much easier. I don't know why. Maybe it had something to do with CC chirping, laughing and spelling. Yes, spelling. But this time, while I felt as if I was looking at certain death, she asked, "What does this spell? G-O-G-O-D?" Yes! Little did she know, but my 4-year-old child was spelling out a little prayer for her petrified mother. When it comes to ski lifts, I'll take what I can get. 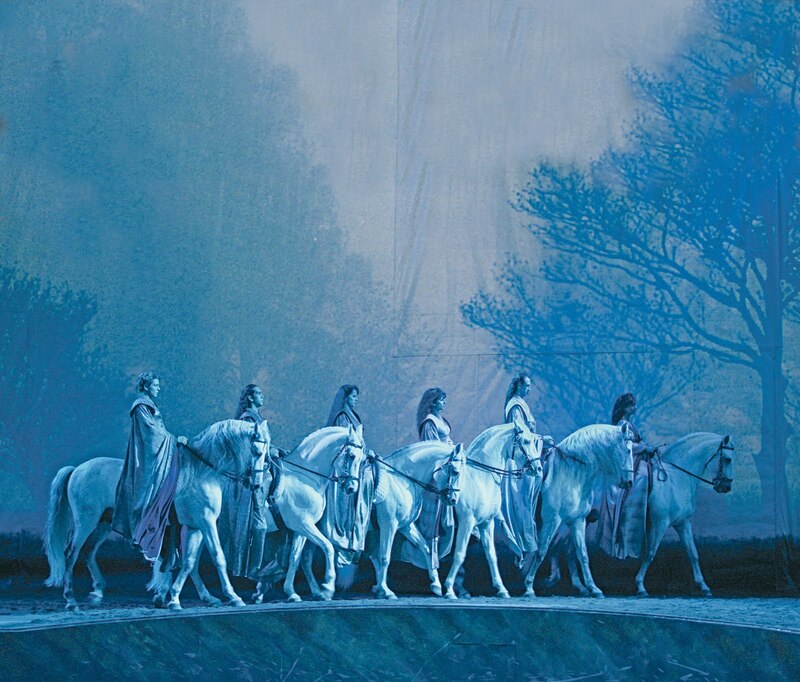 Billed as "a magical encounter between human and horse," "Cavalia" expresses a genuine equine reverence in its gorgeously choreographed show, now playing under a grand, white big top in Burbank. CC and I had the opportunity to catch the opening-night performance, and this family-friendly show, created by one of Cirque du Soleil's founders Normand Latourelle, really captures the wonder and magnificence of these gorgeous creatures, as well as the unique bond with their human counterparts. Kicking off the show with trivia questions projected onto an expansive curtain extending the length of the 160-foot stage, "Cavalia" offered up a lot of interesting info. about the show and its participants. For instance, all 49 of the horses in the production (yes, 49!) are either stallions or geldings -- no mares allowed. (This, as you might imagine, concerned CC very much.) "Why are they all boys?" she asked. When the performances began (after a short video of a horse giving birth, with her foal learning to use its newly free, spindly legs), the effect on the audience was palpable. Watching as 11 breeds of horses roamed freely on the stage, nosing the dirt beneath them and sidling up to their riders/trainers, was truly a sight to behold. It was the freedom of their movement that was most astounding. There were no prods or whips -- and the horses responded to verbal cues and gentle guiding rather than anything intrusive or potentially painful. In fact, the most magnificent piece in the show, in my opinion -- which happened toward the end -- was when sprightly performer Sylvia Zerbini (a true horse whisperer, pictured right) guided nine unbridled Arabian horses into a dance that had them forming a circle, turning completely around before resuming the circular trot and then finishing with each horse's head resting on the one next to him. I think my mouth was hanging open in amazement. She had used only her voice. There were other unbelievable moments, as the various dancers, acrobats and other riders performed on stage, accompanied by a live band and singer. Using wires, two women appeared to float above two horses and their male riders. Another piece had six male and female riders on ghostly white horses "dancing" in unison (pictured above). Trick riders also wowed the crowd as they rode standing, while holding the reins on not two, but four and six horses at a time -- right before jumping over horizontal poles. Truly amazing. The only parts of the show that gave me pause were the actual pauses. The performance (already scheduled at CC's bedtime) started about 20 minutes late, and the intermission also lasted 20 minutes, making for a show that ended at nearly 11 p.m. While we both enjoyed "Cavalia," CC inevitably fell asleep toward the end. So, parents who are bringing the little ones might want to consider a matinee. To call this show ethereal would be to almost disregard the rugged thumping of hooves that bounded across the stage at regular intervals, but there was a dreamy quality to the performances that was enhanced only by the misty night air that surrounded the white tent village outside. The secret to ending those cries of “I’m boooooored”? 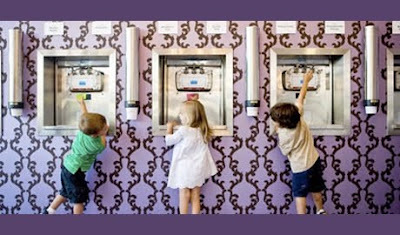 A Play Date at Sweet Harts, a frozen yogurt and sweets shop owned by actress Melissa Joan Hart. Sweet Harts, located in Sherman Oaks, is a place for kids to have a blast while parents get a break! This sweet deal includes one Premium Play Date and a three-month VIP membership. Premium Play Dates last one full hour, are offered for kids 2-12 years old, and include free coffee for adults and free frozen yogurt for the children. You can choose from: Candy Crafts Premium Play Date or Pizza Party Premium Play Date. In the Candy Crafts Premium Play Date (two sessions offered: up to age 6 or age 7-11), kids can do 4 of the following: build your own bracelets, cupcake, lollipop face, cookie face, frozen yogurt sundae, or froyo smoothie. All crafts can be packaged to go. In the Pizza Party Premium Play Date (two sessions offered: age 6-8 or age 9-12), kids can create and enjoy their own 10-inch pizza, and also make two candy crafts. With our voucher, you'll also get a three-month VIP membership to Sweet Harts. This entitles you to 50% off all Play Dates for three whole months. Go ahead: relax and sip coffee while the Sweet Harts staff entertains the kiddos. No stress, no mess, just FUN! 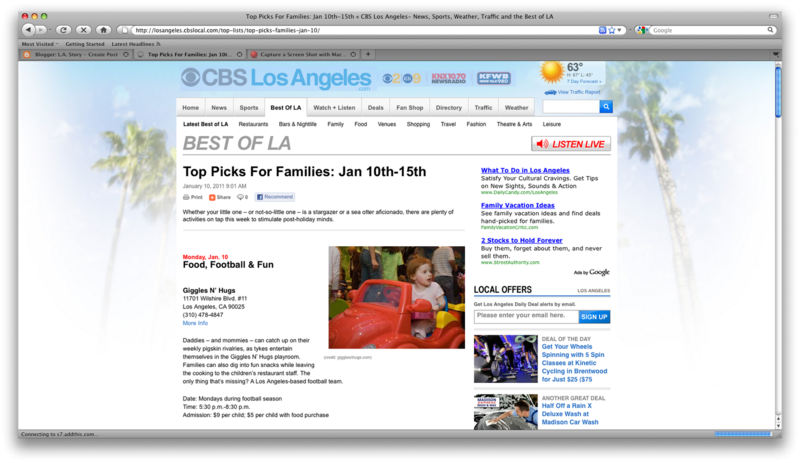 Please check out my latest weekly tips post on CBSLosAngeles.com. "Cavalia," a live show in which a team of 60 horses perform with dancers, acrobats and more, will open under a big top in Burbank. (CC and I will be in attendance tomorrow, so stay tuned for a recap.) Also a screening of documentary "Race to Nowhere," tackling the issue of pressure in today's schools, will be held in Palms on Thursday. When he wasn't balancing a folded piece of paper on his nose, "Circus Incognitus" creator and performer Jamie Adkins was spiriting it into several white bouncy balls. And from the chirping sounds in the family-filled audience at the Kirk Douglas Theatre in Culver City on Saturday, the one-time Cirque du Soleil performer was making some new fans in the process -- my little clown included. 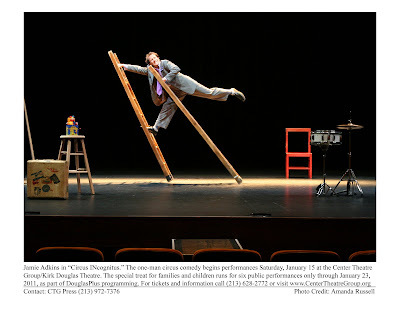 Adkins had lots of tricks up his sleeve, as well as such controlled movement that allowed for chair-balancing, ping-pong antics, as well as juggling -- with his mouth. One audience favorite was an interactive bit, in which Adkins handed out oranges for people to throw at him and which he would then catch with a fork balanced in his mouth. While CC raised her hand wildly, the fruit was (wisely) handed to older patrons who wouldn't maim theatergoers in the process. The piece de resistance of that act? An airborne cantaloupe -- but I won't spoil the surprise for that one. Perhaps the most spectacular act in the show featured Adkins walking a tightrope, which he strung up himself while balancing on a purposefully rickety ladder (see photo above). This part of the show was a real stunner, as he then proceeded to juggle on the tightrope as well. Adkins got his start by observing street performers in San Diego's Balboa Park, and that refined street sensibility comes through in his act. He's been described as "Chaplinesque," which is accurate, as he bumbles good-naturedly around the stage while saying almost nothing and conveying emotions through facial expressions or mime. After the show, which is included in Center Theatre Group's Theatre Education Program, Adkins accepted audience questions, which mostly focused on "How did you do that?" His repeated answer: Practice! CC was a little bummed that she wasn't called. Her hand was raised the entire time. "What did you want to ask him, Sweetheart?" I asked her, certain that she wanted to know, as most of the kids in the audience, how he did one trick or another. "I wanted to know why he didn't use those poles," she answered, referring to the poles holding up each end of the tightrope. Considering he used every stage prop except for those, I don't blame her for asking. Here's hoping she gets a chance next time. Today, on Martin Luther King Jr. Day, I took CC to the park after a scrumptious pit stop at Pinkberry. Mindful of the day, I couldn't help but smile as I saw kids of all colors running, playing and swinging together. They weren't concerned about politics. They were just happy to be outside in the warm January (yes, January) sunshine. What made me smile even more was their complete obliviousness to race or color. As a young African-American girl gladly offered her swing to CC, I wondered if I was over-thinking the moment. After all, it's been this way for a while now. We've come a long way as a country -- that's not to say there isn't room for improvement -- but it was nice just to watch kids having fun and playing together, as if history had never happened. Tired of cooking, but still hankering for comfort food? Check out Kate Mantilini – a kid-friendly LA restaurant staple that’s been serving up American roadhouse fare since 1987. Your voucher gives you $50 worth of food for $25. With daily lunch and dinner specials and a staple of updated classics, there’s definitely something for everyone. Sink into one of their cushy booths and enjoy a meal to remember. Please check out my latest post on CBSLosAngeles.com, "Top Picks for Families: Jan. 10th-15th." From stargazing in Sylmar to making a splash with sea otters at the Aquarium of the Pacific, there's tons of fun stuff for the fam this week in Los Angeles. PBS Kids Talks Augmented Reality ... and, oh yes, Harry Connick, Jr.
Lisa Henson, CEO of The Jim Henson Company, left; "Super Why!" creator Angela C. Santomero; Shelley Pasnik of the Center for Children and Technology; and "Fizzy's Lunch Lab" creator Dave Schlafman at the TCA Winter Press Tour in Pasadena. 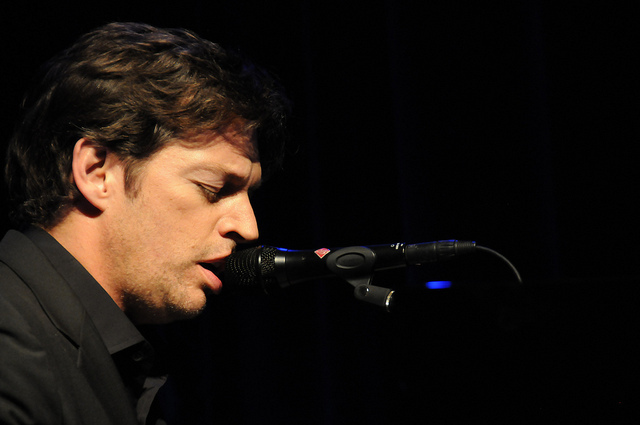 Let's just get something out of the way right now: Yes, I saw Harry Connick, Jr. perform. In person. Mere feet from me. And yes, I kind of turned into a teenage girl when that happened. Over the weekend, I had the chance to catch a glimpse of PBS' upcoming programming during the broadcaster's portion of the Television Critics Association Winter Press Tour at the Langham Hotel in Pasadena. And while I was there primarily to take a look at their child-friendly offerings, I didn't complain when I also caught actors Jeff Bridges, Eileen Atkins, Rufus Sewell and Lily Tomlin, among others, in various (and often hilarious) on-stage interviews. And, of course, there was Harry. 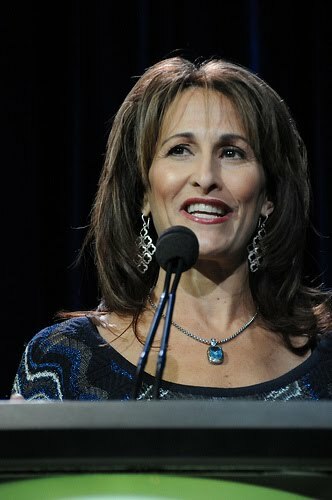 Speaking to a crowd of critics, reporters and bloggers, PBS senior vice president of children's media Lesli Rotenberg (pictured right) explained how PBS is seeking "to harness the power of media for learning." Citing various studies and statistics that spoke to the reality of the Internet's influence on today's children, Rotenberg made the case for going with the Web flow rather than resisting it. "Two-thirds of 4-to-7-year-olds," she said, "have used an Apple iPad or iPod Touch." That number jumps to 85%, she also mentioned, when a child's parent owns one herself. Recognizing the importance of Web-based literacy, PBS Kids is developing even more content for their already content-rich site, PBSKids.org (the first website, by the way, that CC ever mentioned). In addition to creating iPad apps, Rotenberg said that PBS Kids' "Dinosaur Train," which was developed by The Jim Henson Company, is creating an "augmented reality" element on the website, which will include a 3D experience, as well as a game to make a dinosaur hatch -- addressing size, shapes and the warmth of the sun. Web visitors will be able to interact more fully within that world, bumping "reality" up a notch. "The Web has become the preferred medium for kids," said Lisa Henson, CEO of The Jim Henson Company. "We can't just be TV producers." Further acknowledging the Web's growing influence, Henson added, "Maybe TV is the ancillary." Considering how tech-savvy my 4-year-old already is, I'd say Henson is probably right. 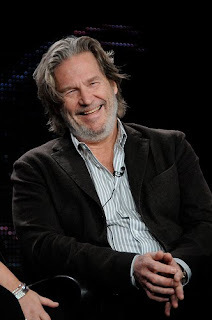 Actor Jeff Bridges, who will appear in American Masters presentation "Jeff Bridges: The Dude Abides," airing on Jan. 12, was laid-back, gracious and quick with a laugh at Saturday's panel. "Jeff Bridges & family referred to his mother Dorothy as 'The General.' "
" 'You want to be liked for who you are ... not for who your parents are,' says Jeff Bridges." He was referring to how he succeeded in acting so quickly ... via "nepotism." Bridges mentioned how he played for "a sea of Dudes" at a Lebowski festival. And, of course, there was the marriage question. How has his stuck after so many years? "Practice," he said. "What do you practice? Coming home." Check my Twitter stream for more doozies from other actors. And then there was Harry. This is totally shameless, but it was an amazing way for PBS to cap off a long day of panels -- dinner at the gorgeous Langham and rousing entertainment from a consummate talent and his equally talented peers. Harry Connick, Jr., who will appear in the Great Performances presentation "Harry Connick, Jr. in Concert on Broadway" on March 2, took the stage and settled down into an easy rhythm on the Steinway & Sons piano, just before breaking into a smooth version of "The Way You Look Tonight." And, wow, I was hooked. So were my fellow blogger friends and Ian, who were all sitting at my table. Connick was later accompanied by trombonist Lucien Barbarin, bassist Neil Cain, saxophone player Jerry Weldon, trumpet player Mark Braud and drummer Arthur Latin, who brought the audience to their feet during one of their New Orleans-loving numbers. After about four songs, Connick sat in the hot seat to answer questions from the audience. Everything from who his role models are: his father, his late mother, his sister (who's in Iraq right now) and his wife, Jill Goodacre -- "That's four right there without even having to leave the house," Connick quipped -- to his admiration for Frank Sinatra and Freddie Mercury, to revealing that his daughter's friend considers him a singer of "vintage pop." He chatted about his upcoming movie, "Dolphin Tale," in which he plays a veterinarian, but perhaps the funniest quote of the night was the last one, an answer to a question from fellow mom blogger Alexandra of Beverly Hills Mom. Also from New Orleans, like Connick, she asked how early she should bring her son down to Crescent City -- and more specifically to Bourbon Street -- to get a feel for the music in that steamy city. "Two, three, four," Connick said, mentioning that he had taken his three daughters there as young children. "What are you afraid of?" he volleyed back to Alexandra. Without missing a beat, Connick retorted, "Then why are you living in L.A.?" Score another one for Harry. 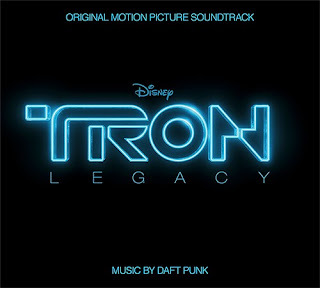 UPDATE: Congrats to "Anonymous," who won the "Tron: Legacy" CD! Please email me at losangelesstory@gmail.com with your address, and I will have the CD sent pronto. (If I don't hear anything within 48 hours, I'll draw for another winner.) Thanks to everyone who participated (and to my trusty adviser, Random.org). Stay tuned for more giveaways! CC had a great time at "Tron: Legacy" over the winter break, so much so that she's still pointing out billboards from the film when she spots them from her little car seat. "Look, Mommy!" she squeals from the back seat, "Tron!" For kids -- and parents -- who are still riding the Tron wave, there still plenty of places to park your Light Cycle. In addition to checking out the fabulous "Tron: Legacy" visuals on the big screen, as well as the fun laser light pre-show at the El Capitan Theatre in Hollywood, fans of the film can also visit the kid-friendly DisneyFamily.com for more "Tron" trivia and games. Pint-sized visitors who can't get enough of that lighted grid can play "Tron: Legacy" Digital Painter, a perfect game for CC, who's not only a whiz at the computer mouse but who also enjoys using digital paintbrushes. What's especially great for parents is there's no mess! Kids can also print out coloring pages, create their own paper Light Cycles and Light Discs, and get creative in the kitchen. And that's exactly where CC's and my next project might be -- in the kitchen making "Tron" Light Cycle Wheelie Pies (pictured right)! How cute are these?! The recipe is online, complete with helpful directions and photos. 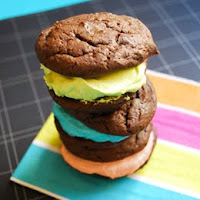 I love the brightly frosted filling! Will keep you posted on how they turn out! 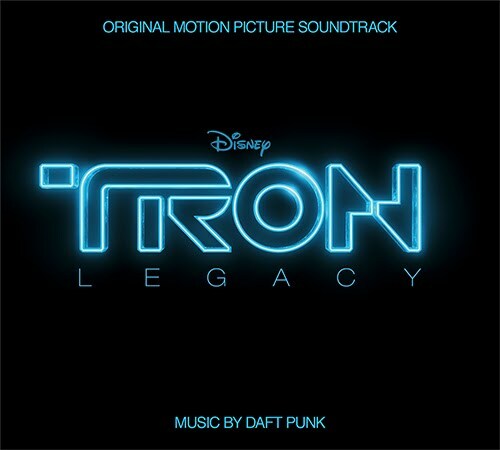 To add to the fun, I'm giving away 1 "Tron: Legacy" CD soundtrack, with music by Daft Punk. To enter, just leave a comment below telling me one of your favorite moments from "Tron" or what "Tron"-related activities you want to check out on Disney.com. For an extra entry, become a fan of ("Like") L.A. Story on Facebook. Be sure to leave a second comment, letting me know you did that. Good luck, and I'll announce the winners on Friday, January 14! "Change of Plans" airs Jan. 8 at 8/7c on Fox. UPDATE: Congrats to Ruth, who won the Walmart/P&G Family Night Movie Pack! Thanks to everyone who participated (as well as my trusty adviser, Random.org). Stay tuned for more giveaways! Ever since CC started watching kid-friendly movies, she's divided films into three categories: Baby Movies, Mommy Movies and Daddy Movies. While she's obviously a fan of the first category, the latter two offer instant magic tricks -- in that she's quick to disappear. I'm willing to bet this is the case for most kids of a certain age -- groaning or dashing off at the slightest hint of grown-up fare. That's why Family Movie Night sounds so appealing. And "Change of Plans," Walmart and P&G's latest entry into family-friendly programming -- which also included TV movies like "The Jensen Project" and "Secrets of the Mountain -- is exactly that. The movie airs tomorrow, January 8, at 8/7c on Fox. "Change of Plans" revolves around a career-minded couple -- musician Sally (played by "American Idol" alum Brooke White) and her husband, fighter pilot Jason (Joe Flanigan of "Stargate Atlantis") -- who must rethink their lives after they become guardians of four children when a tragic accident takes the lives of the kids' parents, one of whom was Sally's best friend in college. 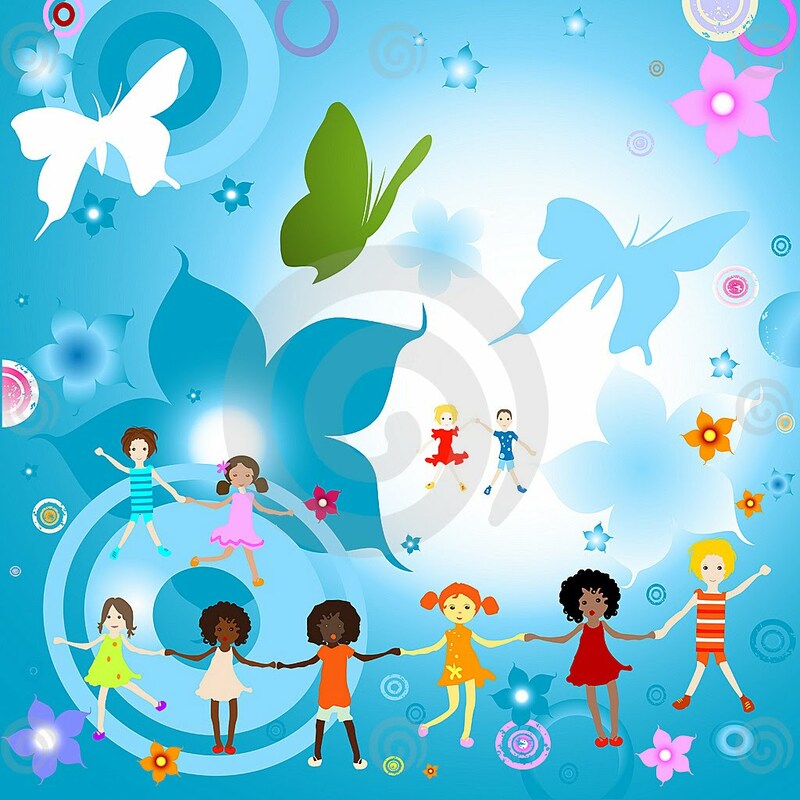 The kids, who range in age from about 5 to 16, all hail from different countries (three were adopted) and have since lived the Peace Corps life in the African country of Uganda. Transitions are especially difficult for everyone involved -- not only adapting to a different family but also to America in general. The movie tackles lots of issues about growing pains and how life, as the saying goes, happens while you're making other plans. It supplies a warm-hearted take on a subject that is inherently fraught with conflict. From explaining to a little girl that her mother has passed away to dealing with a teen who feels out of place at school, the subject matter is appealing across a wide range of ages. Not only that, but it's great to see Phylicia Rashad ("The Cosby Show") back on TV, this time as a Family Services case worker. "American Idol" judge Randy Jackson, who also produced the soundtrack for the film, also makes a cameo. While it might take a few more years for the themes of "Change of Plans" to resonate for a viewer like CC -- who didn't watch; I caught a sneak peek online -- it's still a very family-friendly movie that won't have you diving for the remote if your little one happens to walk in. Like other Mommy or Daddy movies. I'm giving away 1 Walmart/P&G Family Night Movie Pack (which includes DVDs of "The Jensen Project," "Secrets of the Mountain" and "A Walk in My Shoes) and a fleece blanket so you can cuddle up while watching. To enter, just leave a comment below telling me one of your favorite family moments. UPDATE: This deal is officially sold out. Wow, that went quickly! If you missed it, stay tuned for another opportunity (not necessarily Starbucks) next week. You don't need an excuse to treat yourself. But isn't it nice to have one? So go ahead, take that well-earned coffee break at Starbucks -- it'll only cost you a dollar! Get a cappuccino or sandwich to go, or use the card toward a visit with the kids for muffins and a smoothie. You can even use your $5 Starbucks Card toward whole-bean coffee or exclusive Starbucks CDs. Plus, you can feel good about indulging at Starbucks, thanks to their commitment to recycling, responsibly grown coffee and community involvement. Even better, if you register your Starbucks Card at Starbucks.com, you'll get additional benefits, including a free beverage on your birthday. C'mon -- treat yourself just this once ... for just a buck! With the new year come new opportunities, and I wanted to share this one with L.A. Story readers. I'm partnering with FamilyFinds.com, a site dedicated to offering awesome local deals for family-friendly attractions around the city. What that means is, each week I'll post a fun offer that should appeal to L.A.-centered families -- and sometimes even to those fams beyond the Pacific Time Zone. These posts are all sponsored, meaning I will either be compensated directly and/or receive a portion of the funds collected from these offers. While every weekly deal might not appeal to you, some might be perfect for your household. I hope you take advantage of those and spread the word, too. In the meantime, stay tuned for this week's deal, coming tomorrow, Jan. 5. I can't say what it is just yet, but it's pretty amazing!